Let us be your solution. 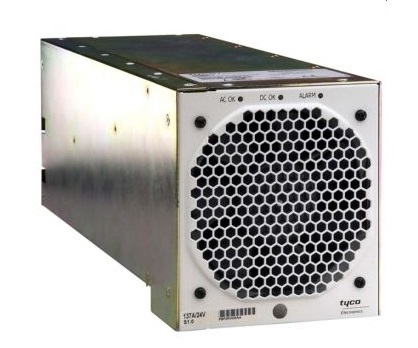 01/15/2015 - Vox Technologies Now Carries Lineage Power 596B6 Switchmode Rectifier! Ideal for today’s 24V wireless applications, thenew 596B6 rectifier from Lineage Power provides the highest quality dc power for telecommunications. This 24V 137A rectifier builds upon the same reliability and quality as other 596series rectifier while featuring an improved power density. The 596B6 rectifier provides 24V at 137Aup to 40°C and operates up to 85°C. Like the other 596 series rectifiers, the 596B6 integrates the latest switchmode technology withsuperior power, protection, and control features ina cost-efficient power-conversion system. It canbe used in the GALAXY Power System (GPS) andInfinity FMS 24V Battery Plants. It converts acinput voltage into the dc voltage level required topower end-user equipment, as well as to float-charge batteries at precise voltage levels. The 596B6 will work in existing systems with Lineage Power 596B4 or 596B5 rectifiers. For high power density, Lineage Power’s revolutionary technology packs ever-greater power into ever-shrinking packages. The result is a rectifier that packs 7W/in3, weighs just 14 lb. (6kg), requires minimal maintenance, and frees up valuable floor space. Installation is swift and straight-forward. Interconnections to ac-input, dc-output, and control signals are automatic during insertion. No adjustments or settings are required. Economical operation The 596B6 exhibits an excellent 0.99 power factor and high efficiency, thereby minimizing ac usage and contributing to highly reliable, low-cost operation. For more information about the 596B6, please contact us at 1-800-941-0322 or info@voxtechnologies.com.